Founded in 2013, The Citrus Vettes & Camaros Car Club now has over 300 members, each with their own story to tell you about their Camaro or Corvette! The club is based in Citrus County, Florida. Want to see Florida! Just about every month finds a group of our members headed somewhere in their cars for a day of fun on the road It might be for a tour of a restoration shop, winery, car museum or just to drive on the winding and scenic back roads of Florida. We have monthly breakfast gatherings at the local restaurants to share good times and have some great food. The club takes at least two significant road trips each year. This year we will take our annual trip to the National Corvette Museum Bash in April. May we will take a road trip to tour the REV Institute in Naples, Florida continuing on after our tour to Key West, Florida. Past trips have taken our club to Charleston, South Carolina, Blue Ridge, Georgia along with tours of Hendrick Motorsports, Richard Childress Museum, Race Shop and Winery. Our club meetings are held every quarter at the Citrus Hills Activity Center in Hernando, Florida. You’re welcome to come to a meeting and meet some of our members. If you want to join an active car club, you have come to the right place. We welcome you to join the fastest growing car club on the west coast of Florida. I’d encourage you to explore our website out at cv-ccc.org. Scroll thru our picture gallery and see the many activities the club has participated in! Take a glimpse at the club event calendar and see how active and diverse our club is. Our club motto is “Giving back to the community we live in”. If you have any questions or would like some additional information about the club, please contact me at citrusvettes2012@gmail.com. 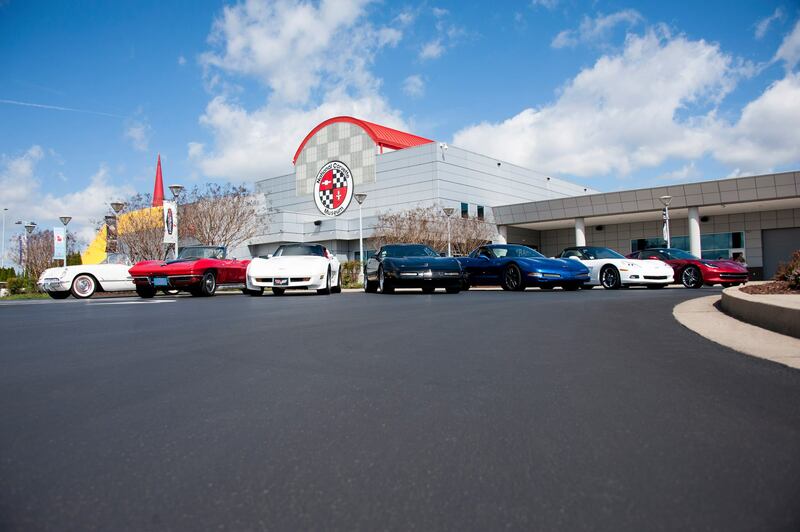 We proudly support the hard work of the National Corvette Museum in their never ending mission - the celebration of the Corvette's invention, and the preservation of the legendary automobile's past, present, and future. The Museum will serve as an educational and research model for all to enjoy. Just a quick link to the fun we are having. Due to lack of interest, The Key West Express has been cancelled. The March-April Newsletter has been added to the main page. The Sarasota Classic Car Museum & Sea Life Encounter Cruise on July 18th-20th has been updated on the calendar to reflect 2 nights stay. See flyer below for further details. The 2020 Royal Caribbean Group Cruise has been added to the calendar. Please see flyer on main page for details. The Fall Excursion to the Biltmore Estate has been added to the calendar. Please see Flyer on main page for details. What are you waiting for, join the fastest growing Corvette/Camaro club in the state.